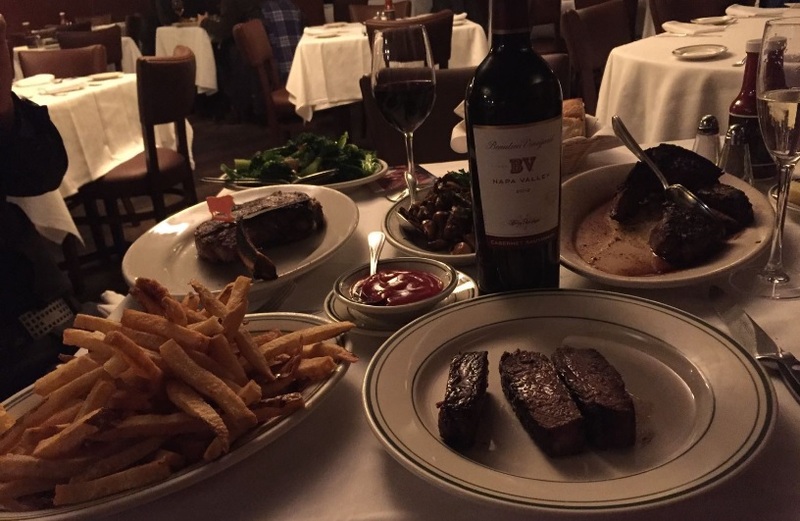 ***Wolfgang steakhouse Park Avenue (New York) – I dropped by Manhattan which is situated couple of hours drive away from Montreal and ate at Wolfgang steakhouse Park Ave which owner (Wolfgang Zwiener) was a waiter at Peter Luger for four decades. If,like me, you are both a huge fan of North American style steakhouses as well as Arts, then this place combines both attractions under one roof as the artfully decorated ceiling is worthy of attention. 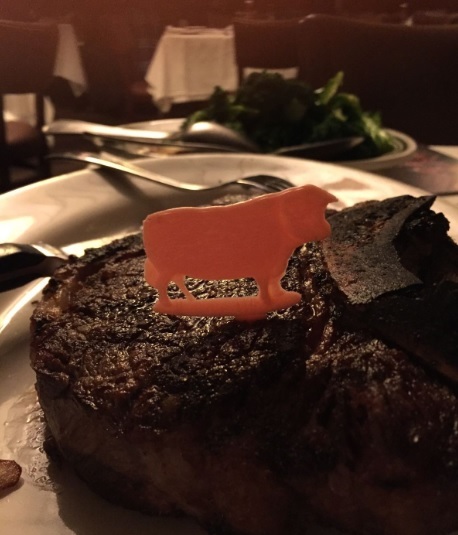 On to the point, I could not order their star item, the Porterhouse for two , because my dining companion insisted on ordering her sirloin, which I did not taste, thus cannot opine on, but she certainly was not unhappy about it. ***The best Hakata style Tonkontsu ramen in Montreal is at Yokato Yokabai – Usually I am not a big fan of Hakata style Tonkontsu ramen (just google it if you want to learn about the different types of ramen) which is what they do offer at Yokato Yokabai, but this bowl I was having was the Hakata style ramen by which I will judge all other Hakata style ramen in Montreal. Fautless texture, great depth of flavor, and well conceived toppings. My verdict (Benchmark>Great>Good>Above average>Average): Benchmark (10/10) Hakata style Tonkontsu ramen by Montreal standards, but even in Tokyo (yeah, I know, Hakata style ramen is not from Tokyo, still …Tokyo is a major world foodie hub offering ramens from all parts of Japan) it would be considered as a good bowl (though, …. a bit too small in terms of the portion – that is actually my only quip about that bowl). I just hope they do not change their current recipe as oftently seen at other ramenyas which started on the right foot (genuine bold flavors, broth with depth) but turned into average ramenyas after trying too hard to please local palates (with lightly flavored broths). Yokato Yokabai Addr: 4185 Drolet, Montréal Phone: 514- 282-9991 UPDATE April 4th 2016: I went back (my review here). 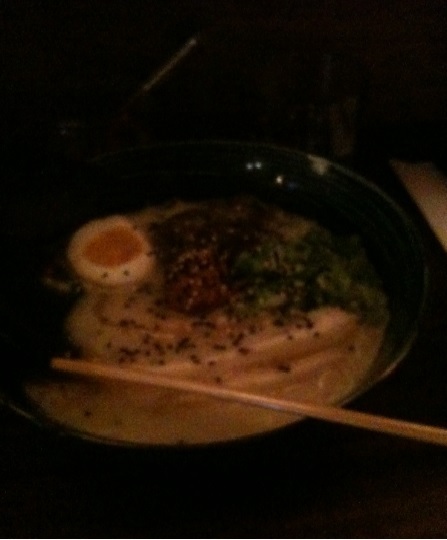 The ramen was not as dazzling as on that initial visit, but make no mistake, it remains one of the very best ramen in town.